Comart joined the global tech company on May 26. NEW YORK: Marketing technology company MediaMath has appointed former Brunswick Group associate Jesse Comart as VP and global head of communications, a newly created role. 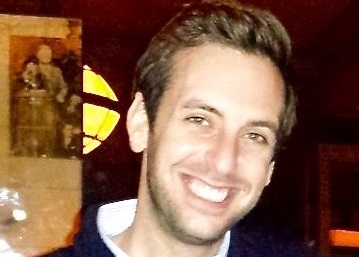 Comart, who worked at Brunswick for the last three years, joined MediaMath on May 26, he said. He reports to CMO Rachel Meranus. Representatives from Brunswick were not immediately available for comment regarding Comart’s departure. The company wasn’t advertising for the position – his appointment happened organically from a reference, said Comart. One of Comart’s main goals is "centralizing the communications function," he said. "MediaMath has a big marketing team who, in many respects, are doing different elements of communications, so my first priority is to understand what is currently going on, bringing that all together, and finding out what the gaps are," explained Comart. Four staffers from the marketing team have transitioned to the comms department, reporting in to Comart. He said he’s not looking to immediately hire, but he’ll probably be ready to bring on some new comms team members in the next few months. Since MediaMath has more than 600 employees with offices in New York, Boston, Chicago, Miami, San Francisco, Sao Paulo, London, Paris, Singapore, and Tokyo, Comart added that he wants to make sure the brand has a consistent messaging across staff and divisions. In addition to internal engagement, Comart is leading external communications, analyst relations, and public affairs for MediaMath. He said the company has "a tremendous reputation" among trade publications, but it wants to build a stronger connection with major business media outlets, like Wall Street Journal and The New York Times. Comart, who previously worked at the Glover Park Group and on Capitol Hill, said he decided to join MediaMath because the marketing technology industry is growing at a rapid speed and he respects the company’s leadership team. He added that his campaign experience will translate nicely into his role at MediaMath because he knows how to work toward an end goal and he understands political and regulatory issues.